You’re using a charger on a daily basis, and more likely than not you have multiple devices to give juice to. That makes things difficult because you don’t want to spread your stuff across outlets in different rooms. 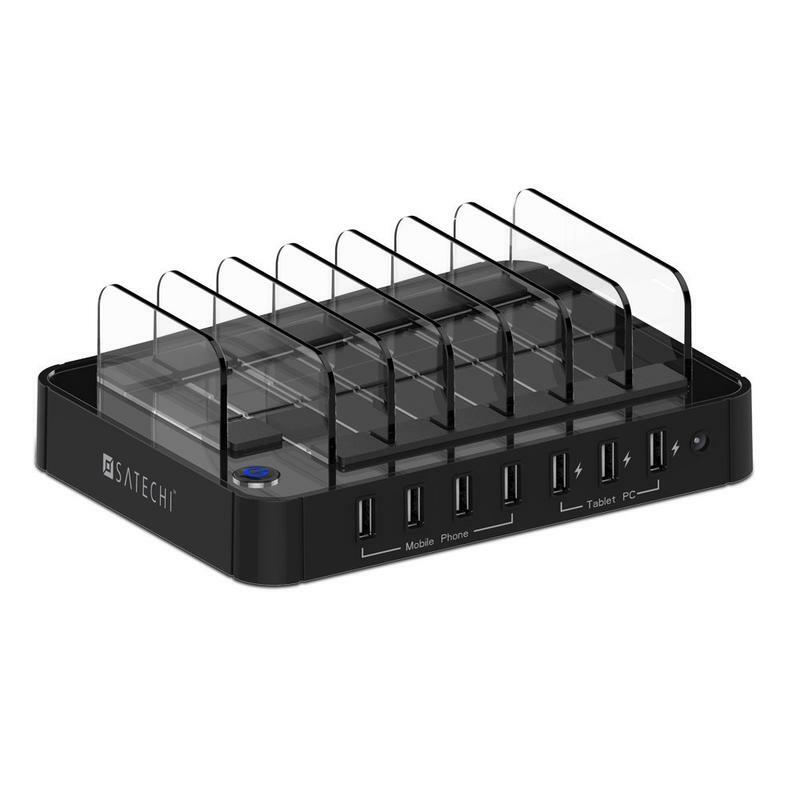 So you should check out a multi-port USB charging station. 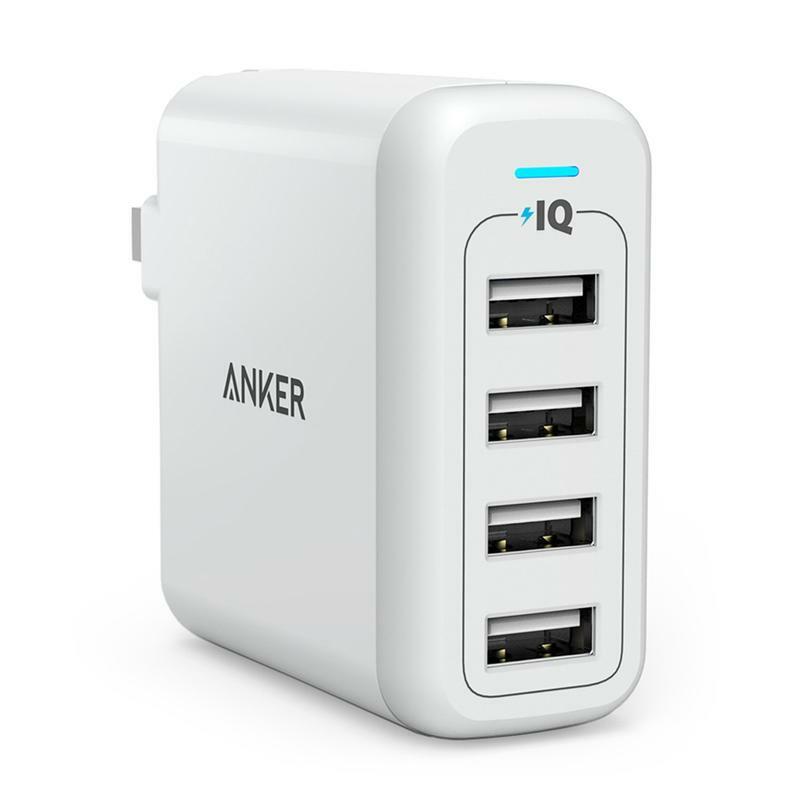 Along with putting all your devices in one place to charge, you’ll get to charge them equally. 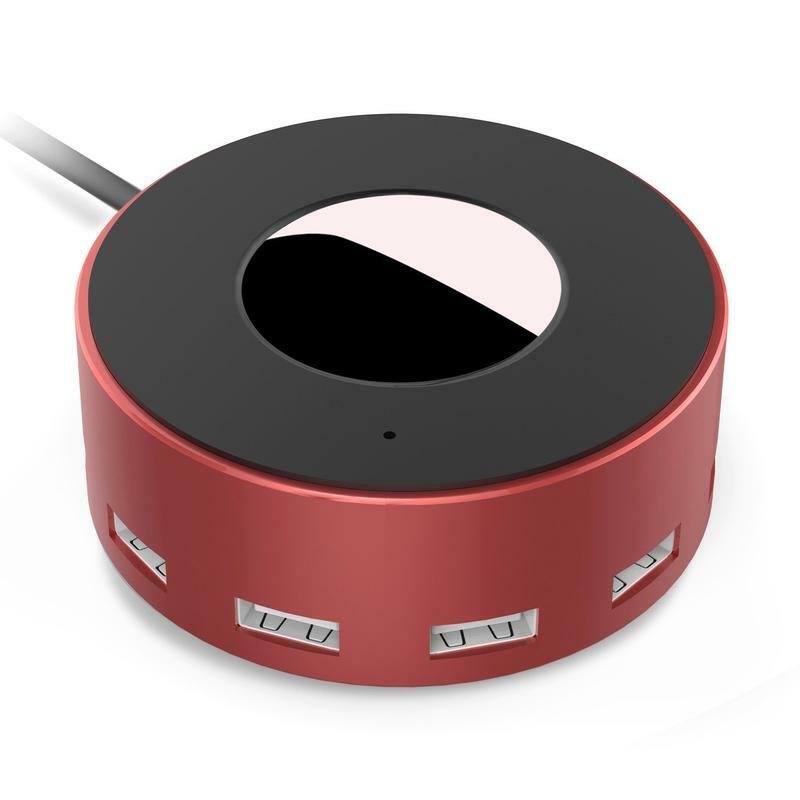 Multi-port USB charging stations, like every type of accessory, ranges from very cheap to very expensive. But we’ve got your back. These picks aren’t too expensive, and they’ll charge your devices quickly and safely. Here are some of the best multi-port USB charging stations for the home and office. 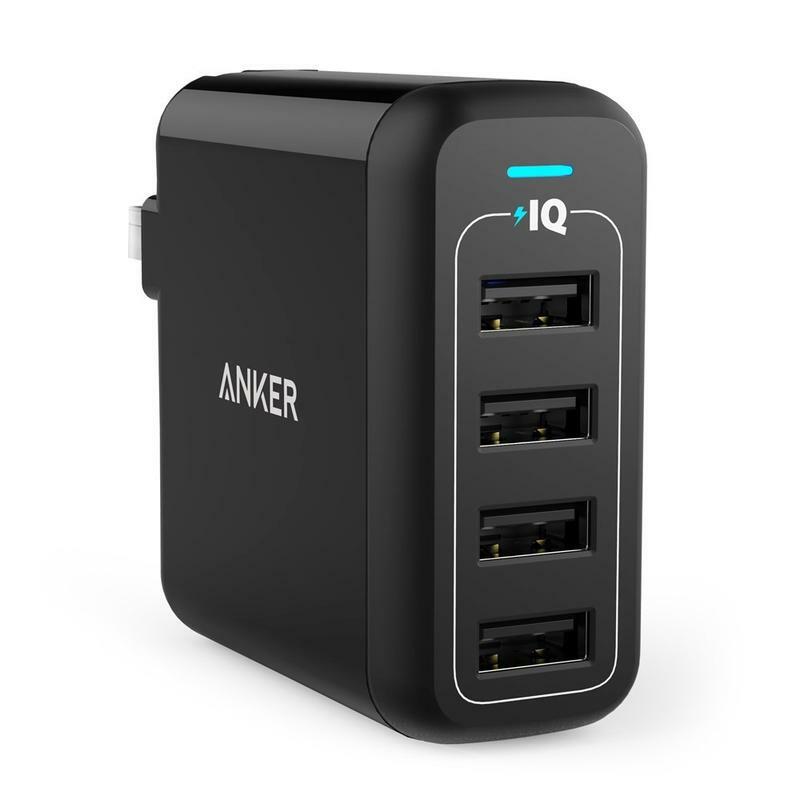 Here you’re getting four ports with Anker’s PowerIQ and VoltageBoost technologies. 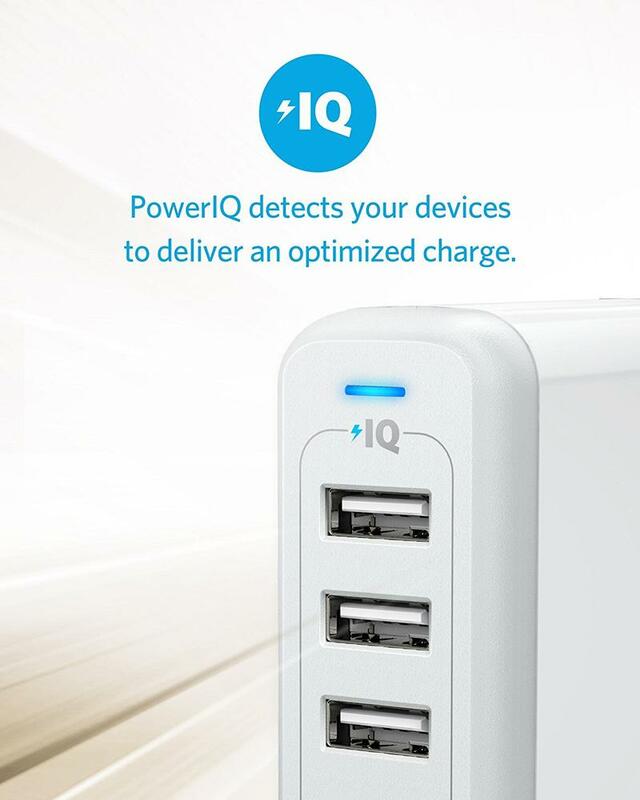 While VoltageBoost ensures your devices are being charged at a consistent and safe speed, PowerIQ gives the best amount of power possible. 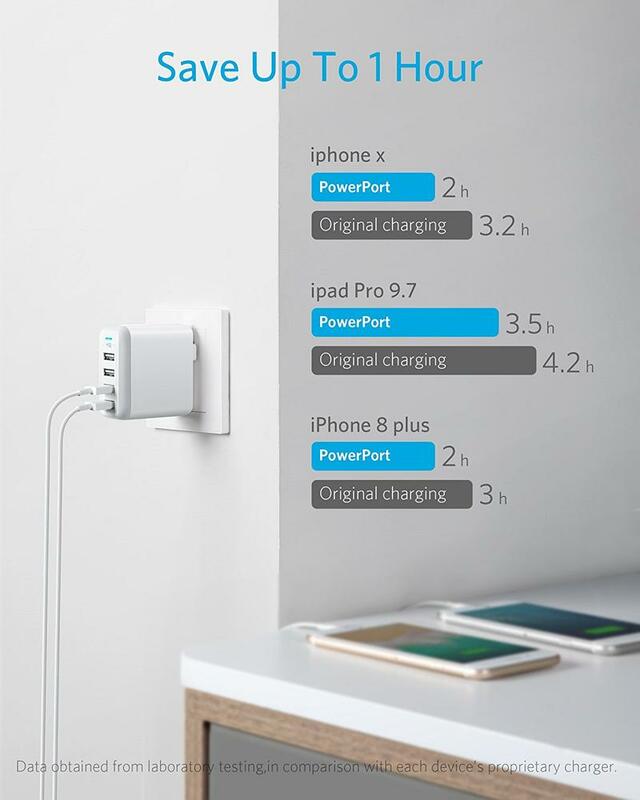 Anker is a name you can trust. 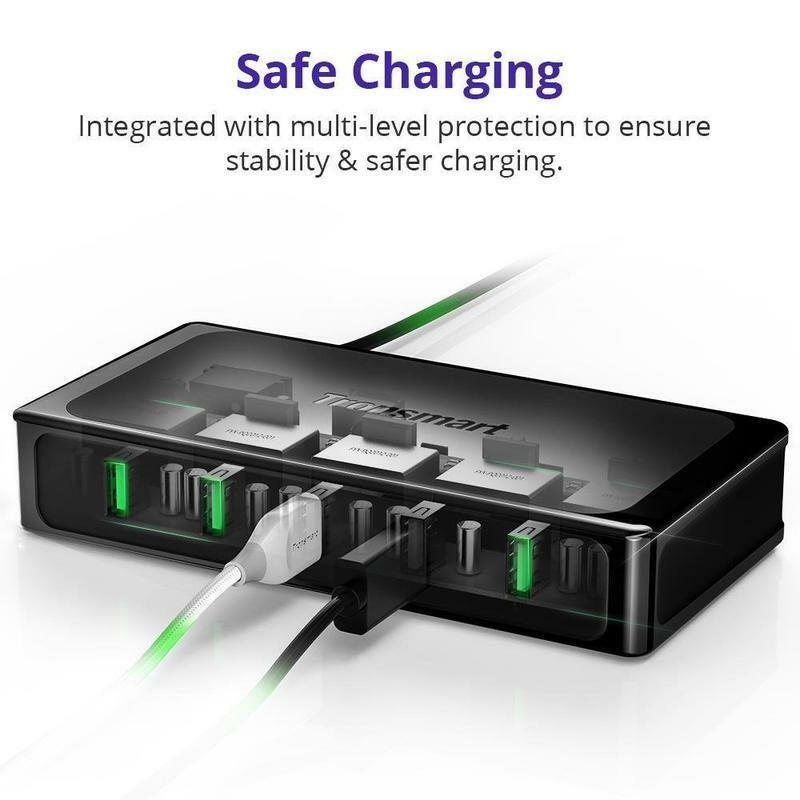 On top of being well-known in this space for several years, the specific multi-port USB charging station we’re recommending has a 4.5-star rating on Amazon. More than 3,000 people have left reviews. Most of them, as you can imagine, are positive. With a price of just $26, you can’t go wrong. 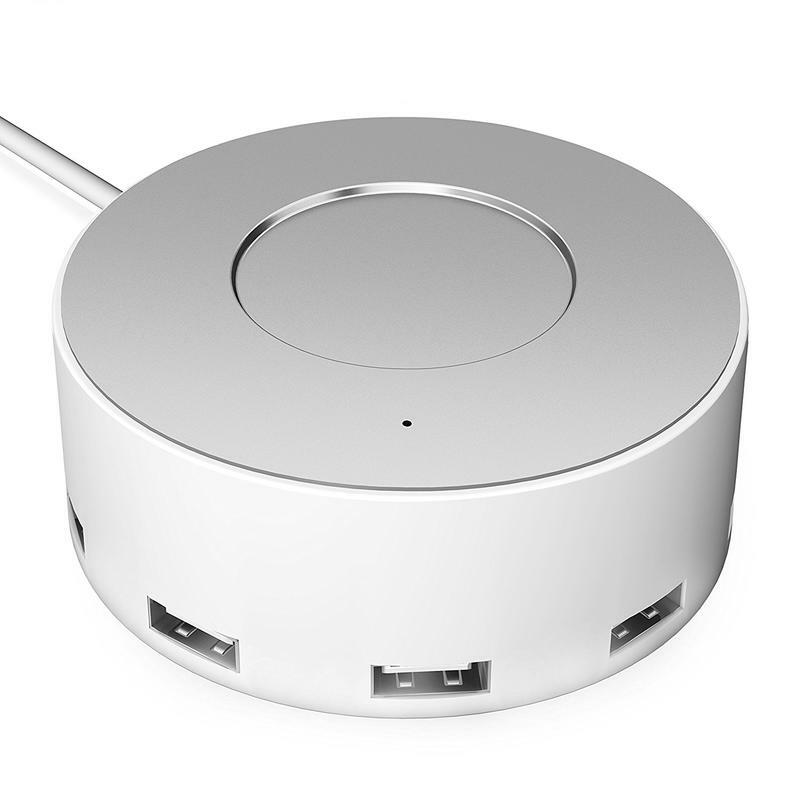 Maybe you like choosing colors that match a specific room’s style, so Anker sells this accessory in black and white. The only reason you shouldn’t go with this choice is if you’re wanting something to put on a counter, desk, or any other type of surface. It’s more of a traditional charger that goes up against a wall. 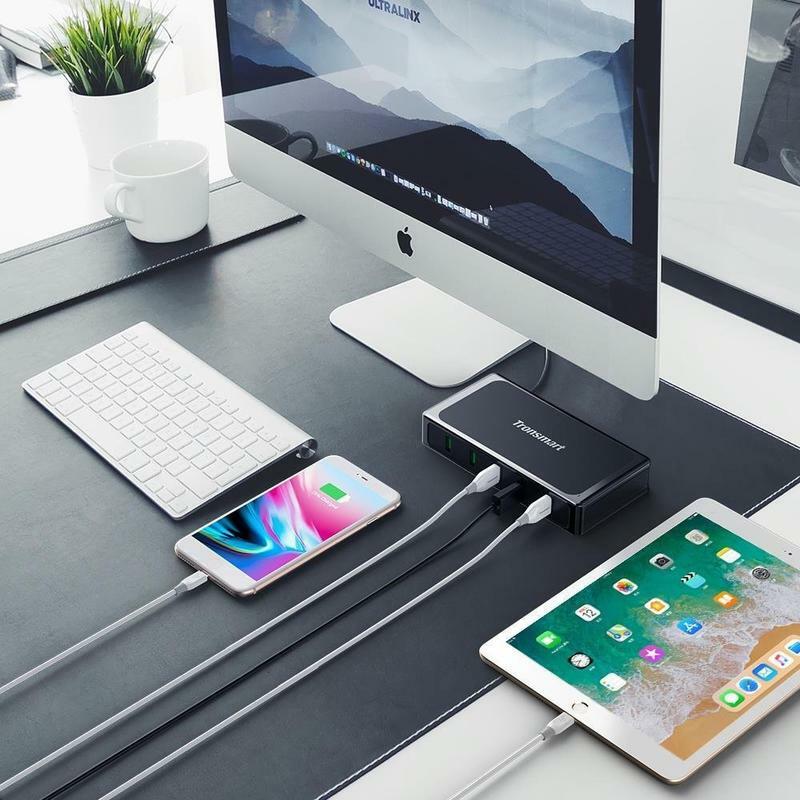 As long as you’re okay with that, look no further than Anker’s multi-port USB charging station. 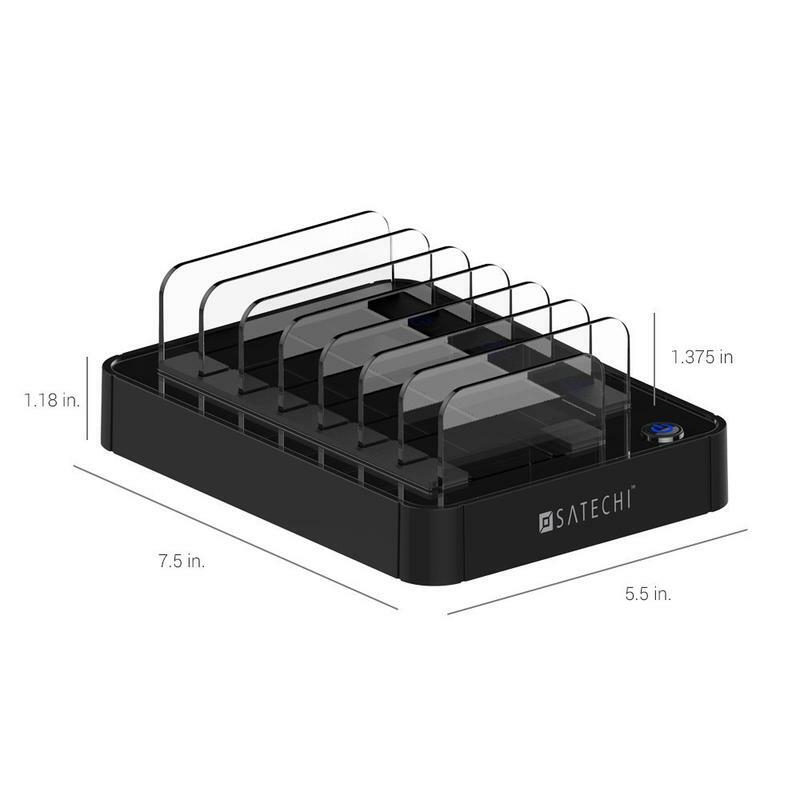 Satechi’s multi-port USB charging station includes seven ports, so you don’t ever have to worry about running out of space. 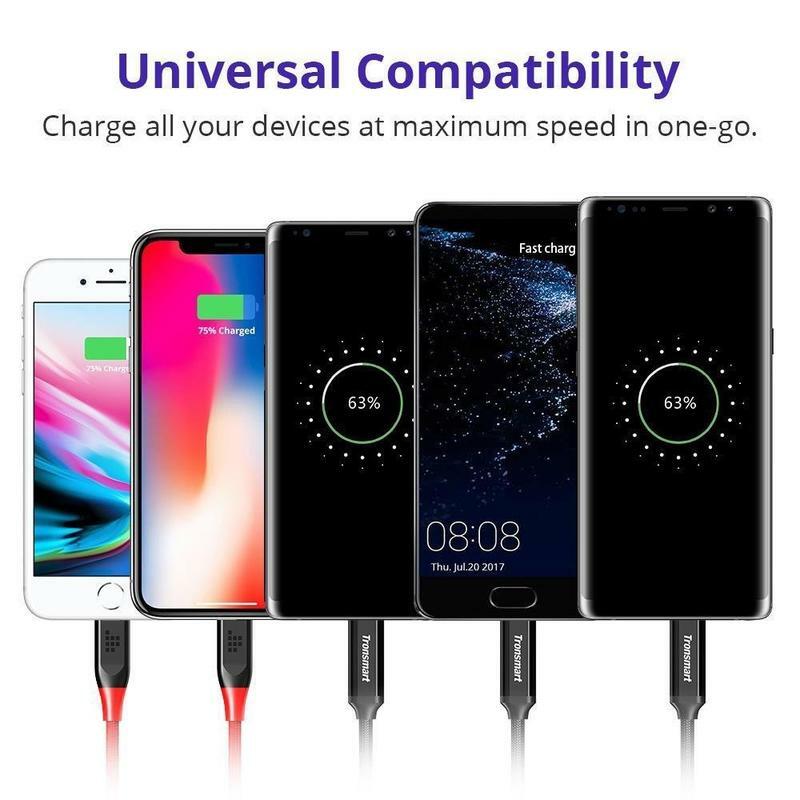 Well, unless you have eight devices to charge at once. But that seems excessive. 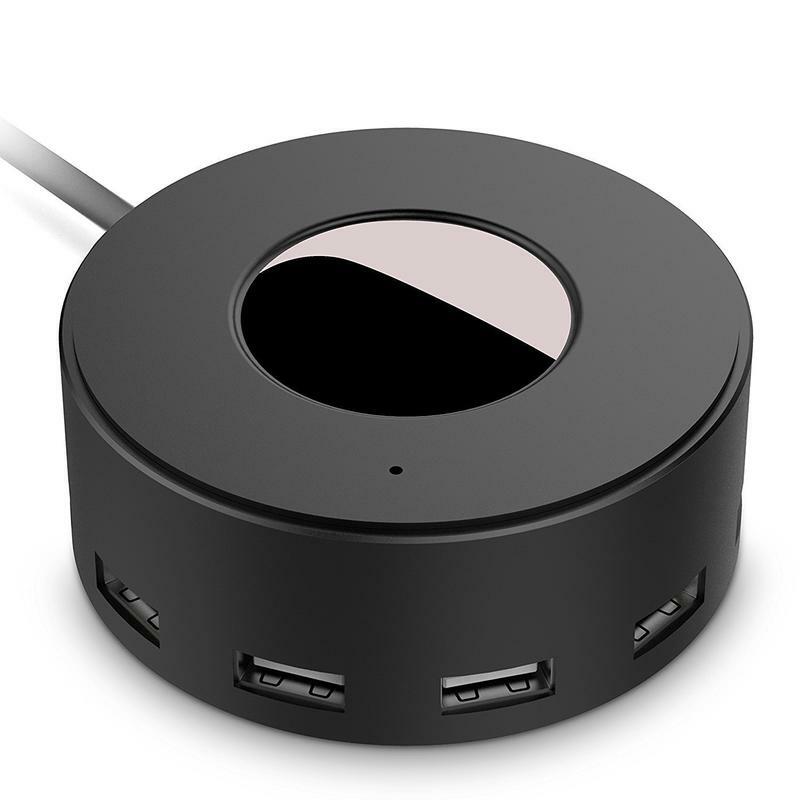 Anyway, the reason this accessory earns a spot on our list is that you’re not just laying devices around while connected to a central hub. This is a dock, too. Devices ranging from phones to tablets can be positioned horizontally in the slots. 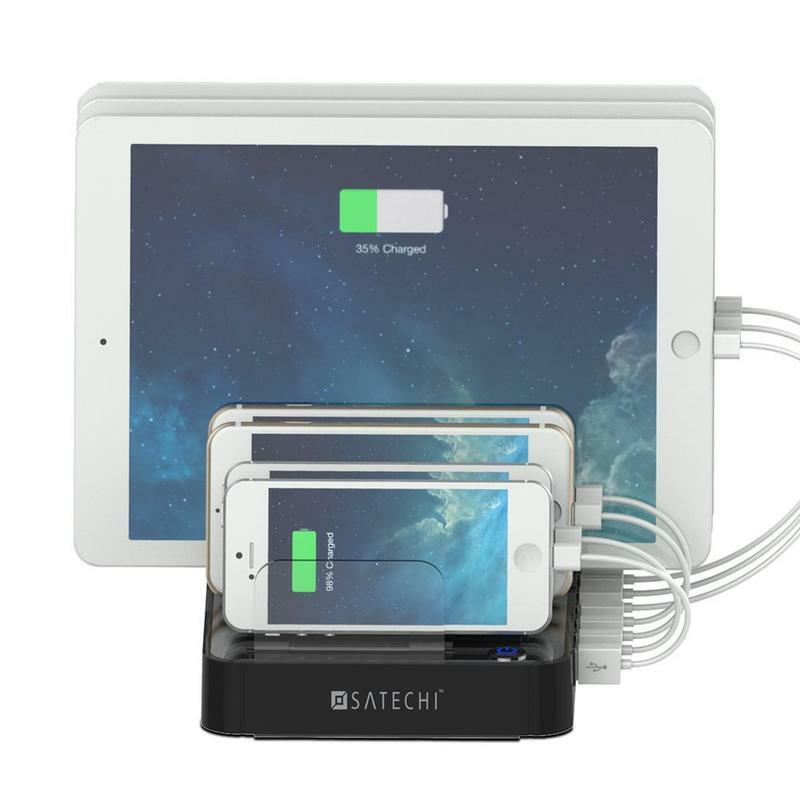 Aside from giving your devices a cozy place to charge, Satechi makes the layout clean. Bundled with the accessory are seven velcro straps to limit the amount of wires hanging around. 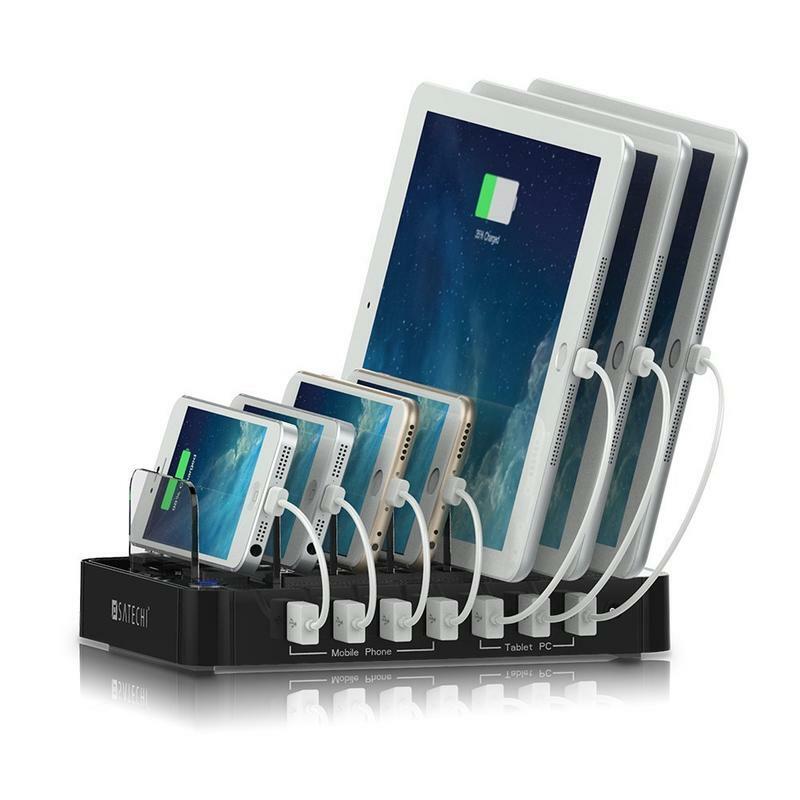 This multi-port USB charging station should fit any device you have. Satechi says it fits everything from the iPhone X to the Galaxy S9 to the iPad Pro to the Pixel 2. 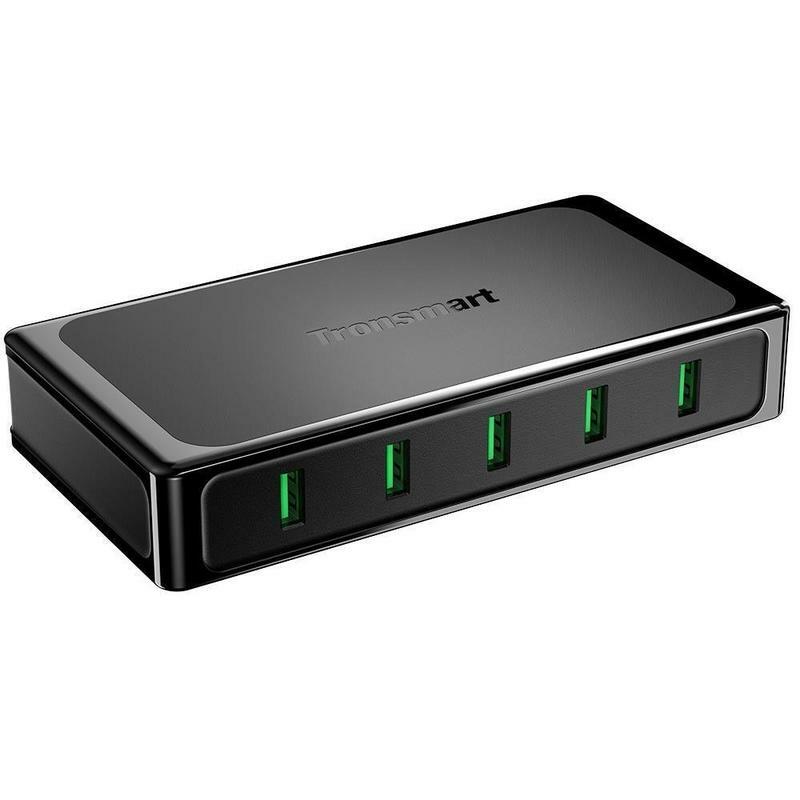 Tronsmart makes a classic multi-port USB charging station that gives you flexibility. 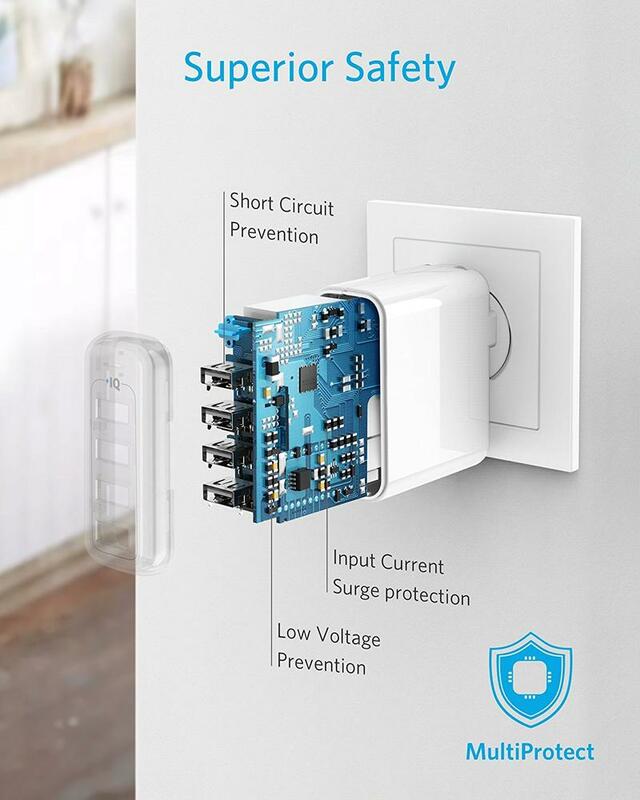 Rather than making you hug a wall to charge devices, this accessory has its own wire that goes to the outlet. 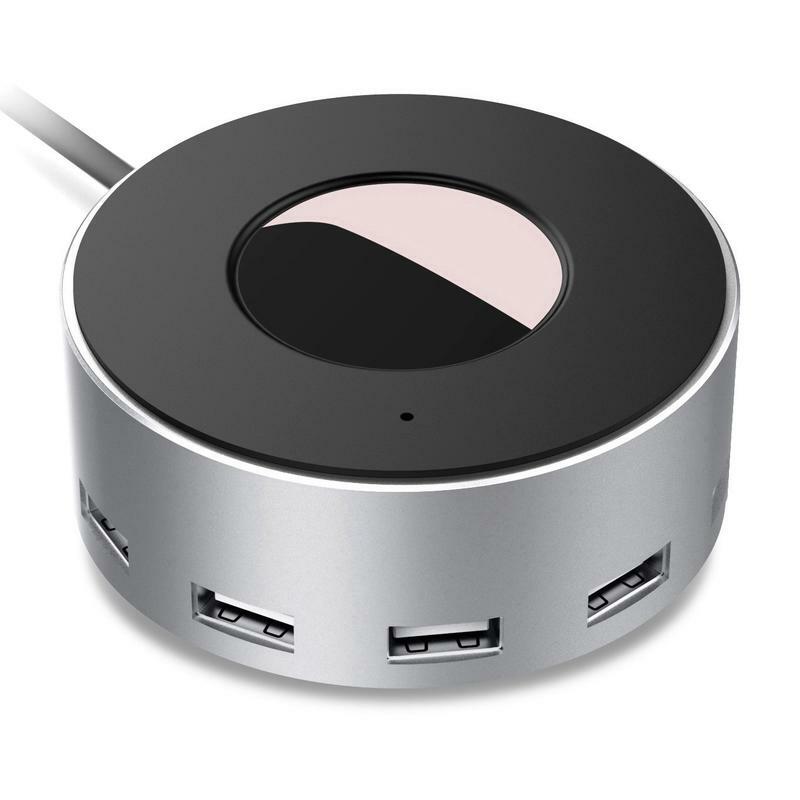 So you can position it on an office desk or kitchen counter to have five USB ports nearby. The brand does indeed have its own proprietary technology alongside Qualcomm’s Quick Charge 3.0. Tronsmart uses VoltiQ, which gives each connected device the most amount of power it can handle. Also, you have an on/off switch to toggle if you’re leaving for an extended period of time and want to be safe. Its design is why you’ll choose this accessory over anything else. 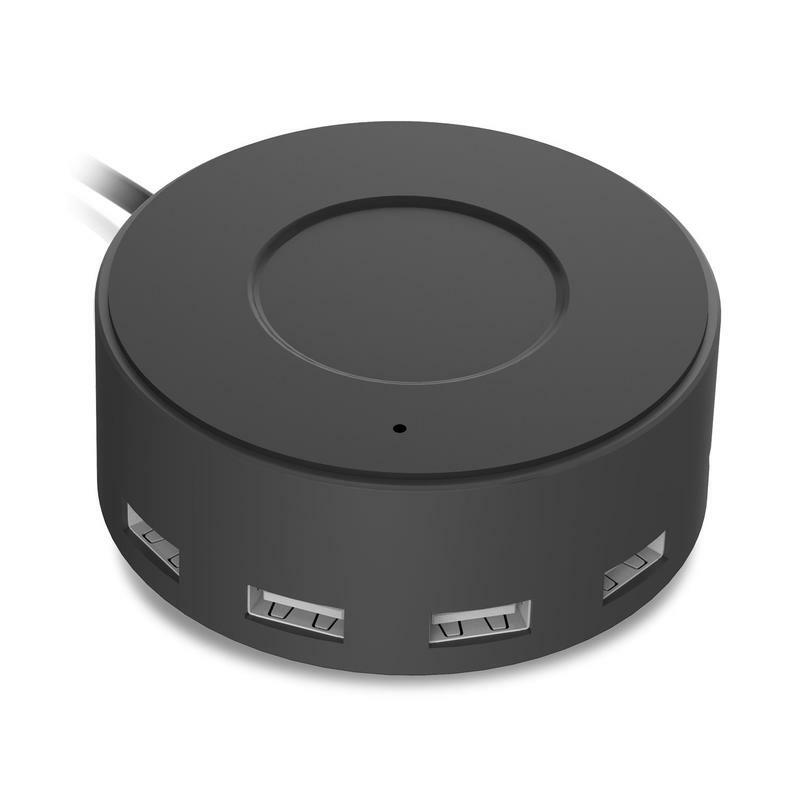 Tronsmart’s multi-port USB charging station lays flat on a surface with rubber feet holding it in place. Move away from the wall, and just charge from wherever needed whether that’s at home or at work. Ports that are aligned so close to each other can make for a mess of wires, especially if your devices are large. Vogek, however, sells a multi-port USB charging station that features a layout preventing such a mess. The six ports are built around a circle, facing in unique directions. 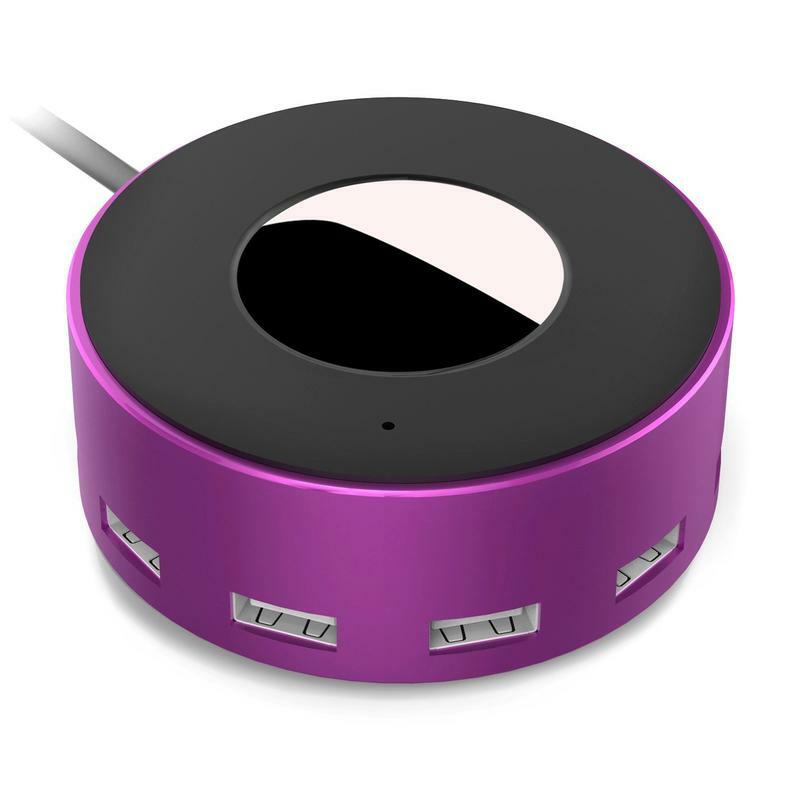 Vogek also makes this multi-port USB charging station in seven different colors, allowing you to choose what fits a certain style. As is the case with other accessories like this, Vogek’s has safeguards in place. 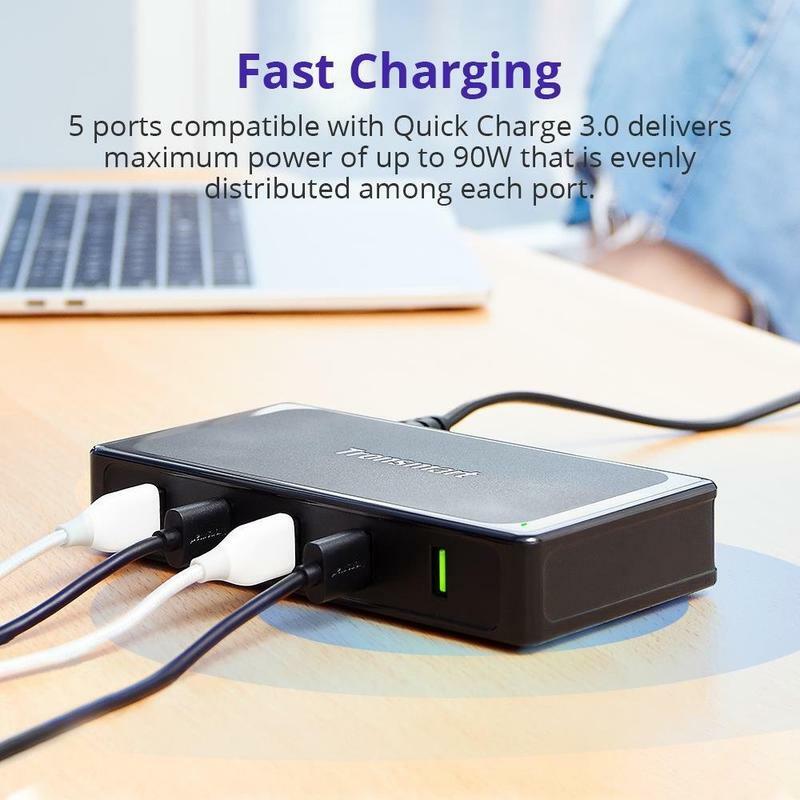 This multi-port USB charging station won’t give so much power that your devices will combust nor will it lower charging speeds when multiple devices are connected. Vogek made an accessory that balances out power at a steady speed. There won’t be any slipping or sliding, either. It has a rubber-based bottom to grip any surface in addition to a lower center of gravity to avoid tipping. All of these qualities for less than $20 with free shipping? Vogek has a winner here, which happens to also be an Amazon’s Choice product. 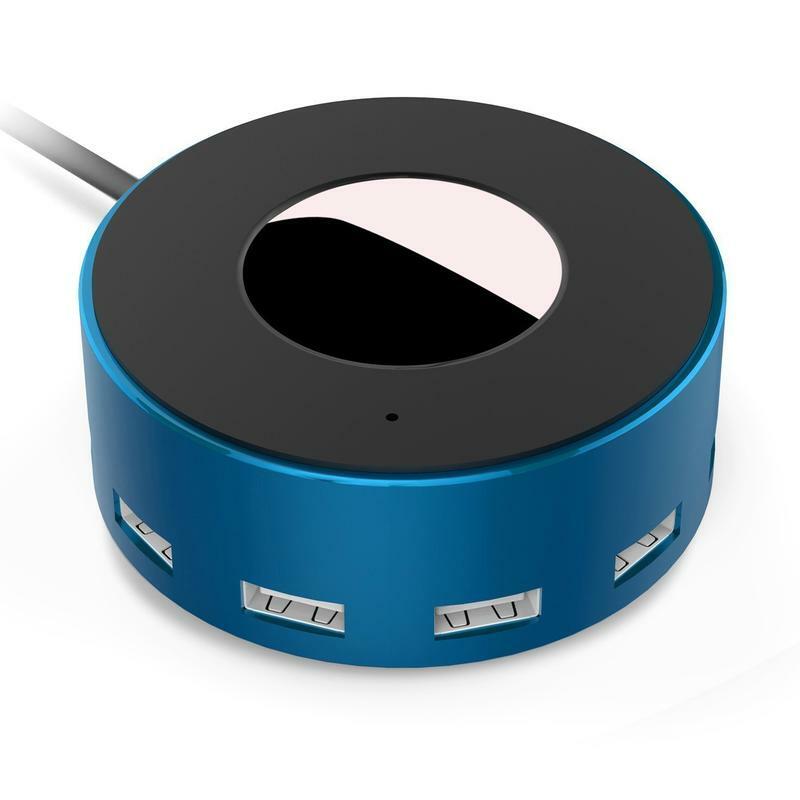 If you’re shopping for a stylish and capable multi-port USB charging station, pick up this one from Vogek.